<My thanks to Spence, Dan, Rob, HR, Clark, and others for their inputs to this article. If you see an area that needs expansion or if you have questions, PM or email through the site. 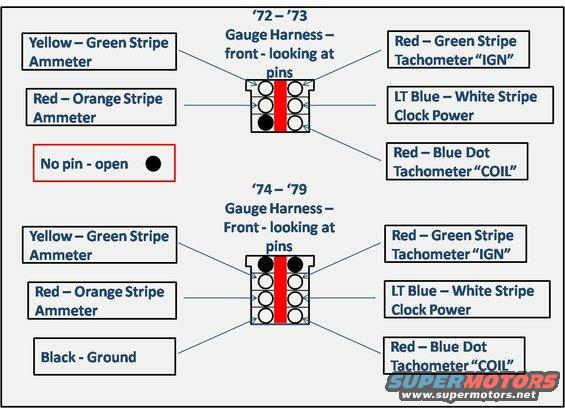 While they look similiar, there are a lot of differences in the '72 to '79 Gauge Groups that merits explanation. 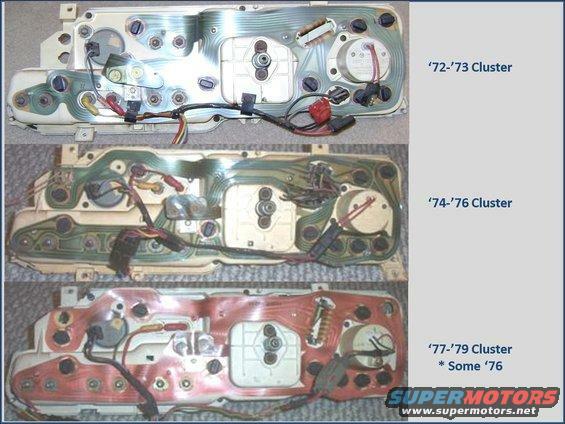 There are, in fact, 4 distinct groups of these clusters and there is a mixture of them between the model year cars. '72 and '73 are unique to those years, '74 and '75 are also unique to those years although some of these same clusters are found in '76 models. 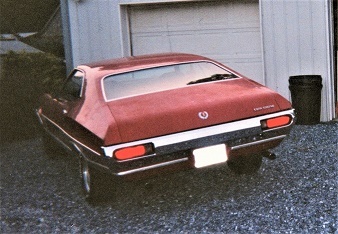 '76 "high" series was unique to the cars it was installed in, and '77 to '79 had some variations in those years as well. 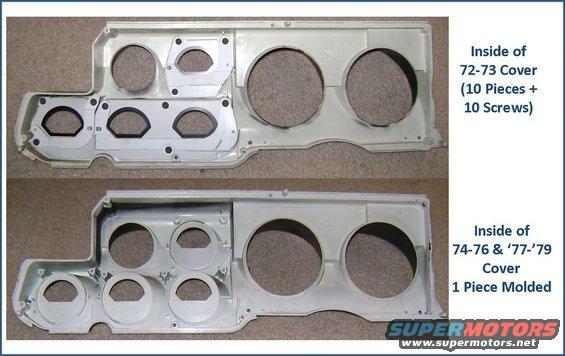 Be warned that when you purchase one of these for an upgrade or to replace your existing but deteriorating dash you may be in for some surprises. 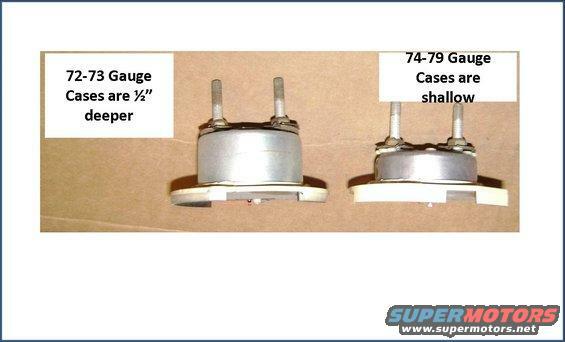 These are the gauge covers for comparison, it should be noted that for some 1974 models depending on DSO code they did not have the "UNLEADED FUEL ONLY" branding on the fuel gauge, all US Market 1975 and up did. One of the changes not readily apparent is the difference in the depth of the gauges, the change being implemented by increasing the size of the stand-offs cast into the back. 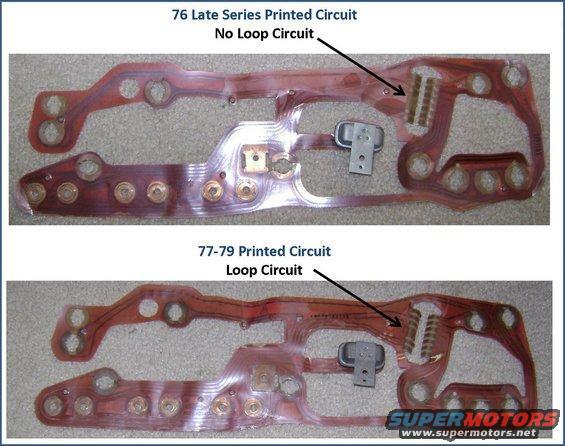 6 different printed circuits were used across the groups. 4 of the six will be shown here, '77, '78 and '79 each had it's own engineering number on the circuit however, the wiring and pin outs appear to be the same. 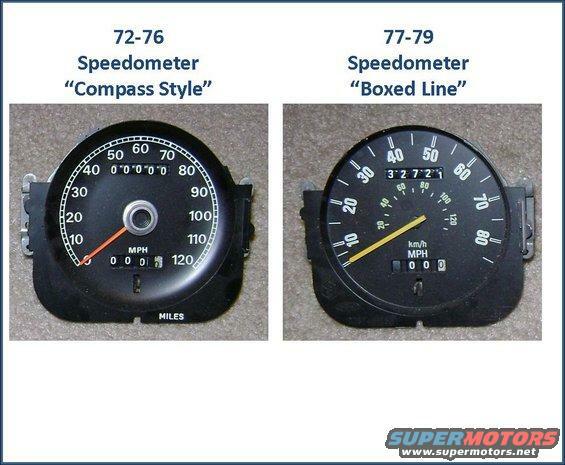 Shown below is a Police 140 MPH speedometer fitted into a member's '77 - '79 Gauge cluster. Note no Trip Odometer. 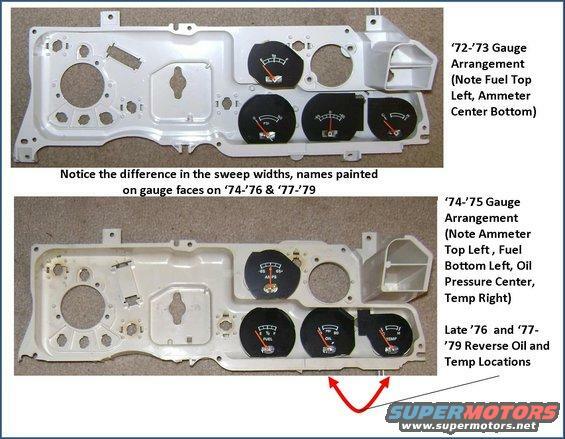 For those that are retrofitting a gauge cluster into a standard dash car you need to change the oil pressure switch with an oil pressure sending unit and then install the tachometer and ammeter wiring above. 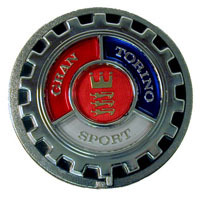 The final item required is to tap off of your cigar lighter power feed (light blue / white stripe) for clock power. 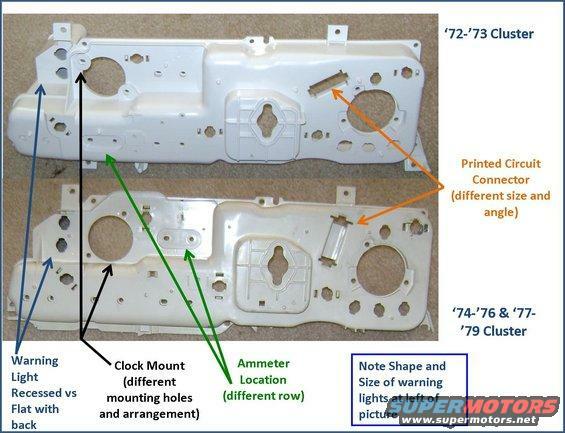 It should be noted that the same printed circuit connector is used appropriate to the year groups, a '72 and '73 standard cluster would not be "plug and play" with a '74 and later cluster. Lots of good info even for troubleshooting problems. Thanks Paul!! Does anyone have any idea what the pin outs are for the clusters? 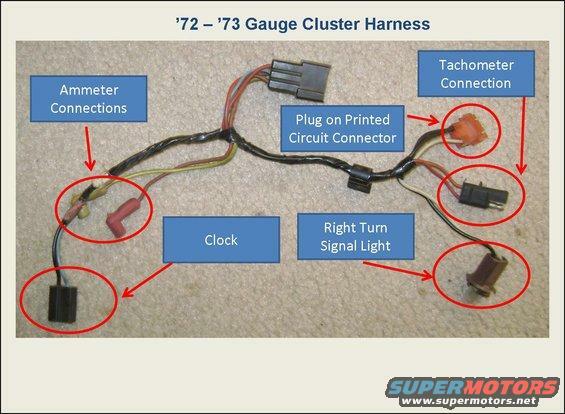 I've been wiring up a 73 cluster into a 72 which obviously have different connectors........but I don't think that the wiring color code remained the same between the years (I could be wrong tho......but I connected the color codes from the 72 onto the 73 connector, and the indicator & brake warning lamps illuminated together) ideally if someone has a list with the pin outs for a 72 ( with color codes) and 73 it would be good. 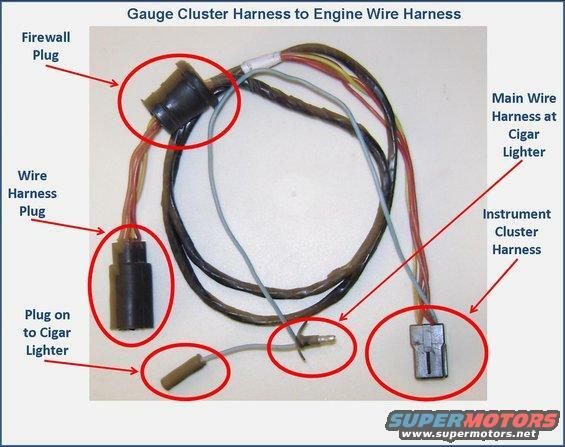 The wiring diagram leaves a little to be desired! Either that or it's me in the garage with a multimeter and a pencil tracing the PCB! Notes: Pin 14 & Pin 4 I routed to a new ground - the harness for pin 14 terminated in an underhood connection which didn't go anywhere. Pins 12 & 13 I haven't connected at the minute - I might use them for a shift light at some point in the future.......didn't really care about the fasten seat belt warning! 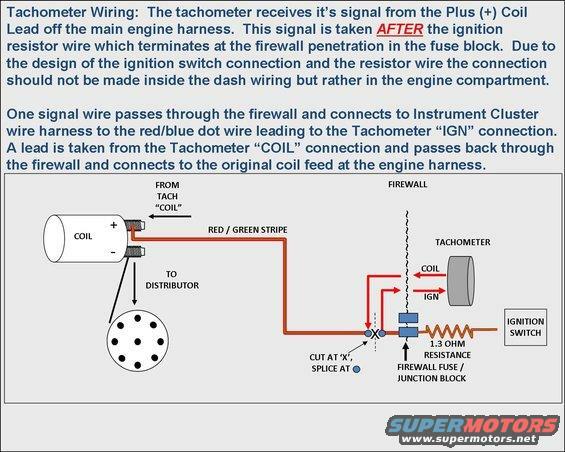 Would you happen to know what wires off the engine to firewall "cluster" would specifically be dedicated to a 1976 Torino water temperature sending unit? I have replaced the gauge on the dash (standard version - not sport cluster) as well as the actual sending unit on the engine and it still wont work. I even tried "shorting" out the sending unit in hopes to "ping" the gauge but still no-go. I am wondering if I need to just run new wires. Thoughts? Thanks! Wow, that was a lot of work! Cudos to you and for posting the info. I'd have expected that the wire colours are as shown above - the water temp wiring runs to a four pin connector near the wiper motor, I'd check for corrosion in that first. 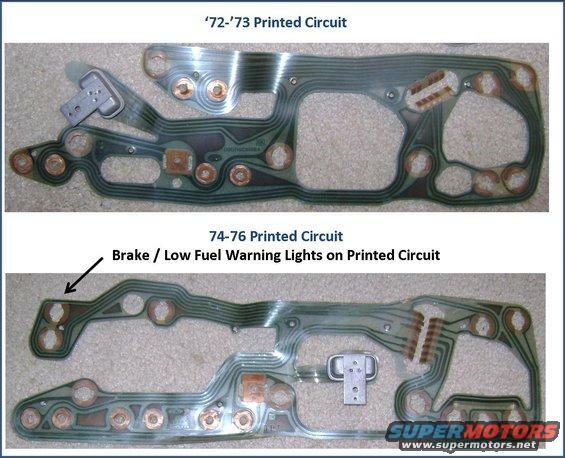 Do a continuity check on the short under hood harness to the sender & back to the clocks - it should tell you which area has the problem - it could also be in the firewall multi plug. Is the PCB on the rear of the clocks OK? If the worst comes to the worst I wouldn't see a problem running a new wire in! A while sitting with a multi meter! Hopefully it might help someone else out.......although it just confirmed the fact that I'd like to get my hands on the "mechanic" that did some wiring on mine ........just spent today sorting out the under hood stuff, and tidying it up! 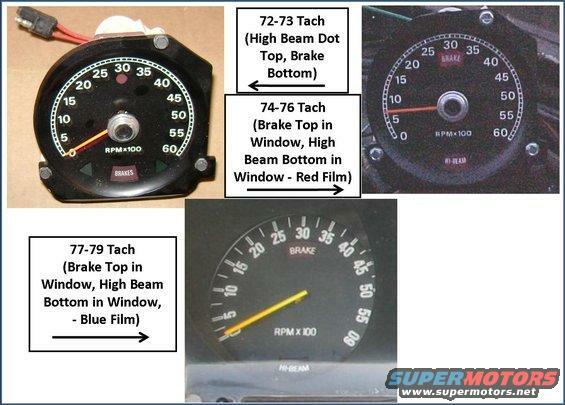 Because of this post I may have to remove my instrument cluster to clean and possibly replace the bulbs with led lights, lots of great and interesting work.THANKS!!!!!! 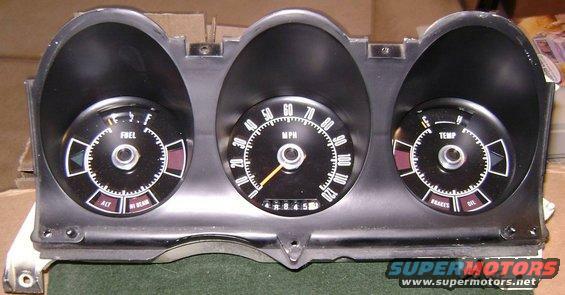 What size tach fits in the 73 gran torino sport, spot on the dash? 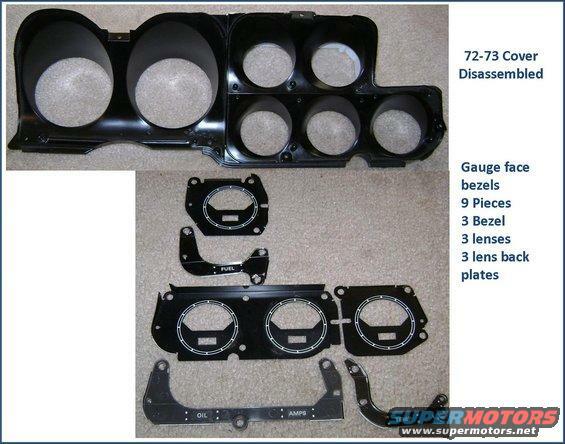 Something from summit, they have alot of sizes, I want something that will mount inside the empty spot. Is there a spot in my wire harness to wire it in if it didnt come with it? 2004 electric wheelchair super fast! Disabled Iraq Vet, IED boke my back and severed my nerves into my legs I can walk but it hurts bad. This thread is terrific. Thanks! 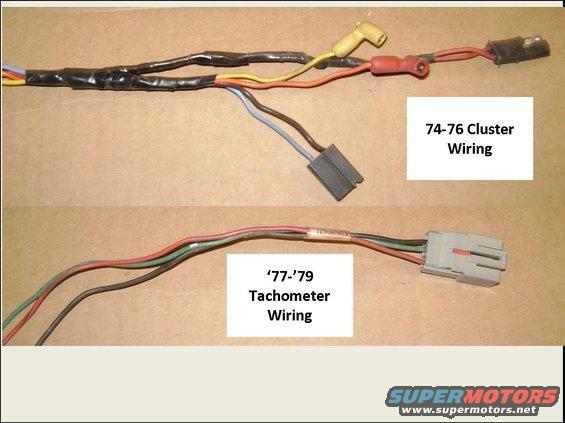 I had found a 73 Ranchero with the gt gauge cluster and was wondering if it would work in my 74. Now I know. 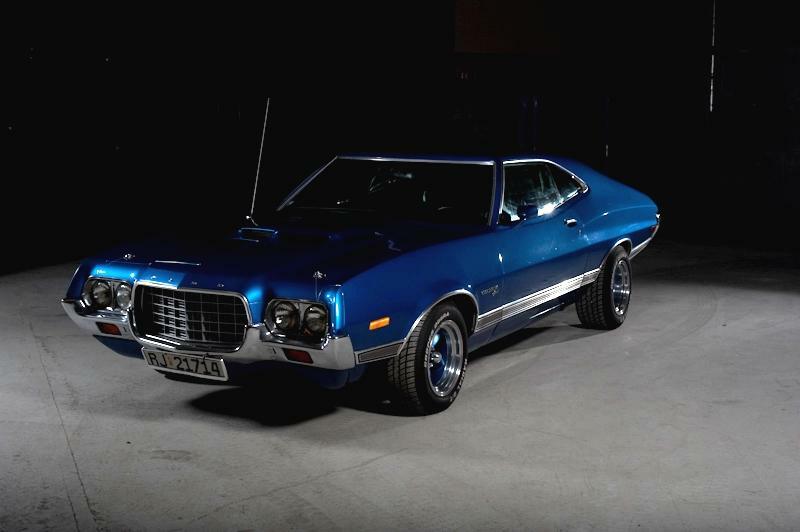 I have installed a dash cluster into my 75 gran torino, everything was working fine however no lights around fuel gauge, changed globes and all sorted. I connected all back together and blew a fuse for the cluster. Now I have no lights it and no oil/temp working. Any ideas as to what to do, I have checked the fuse replaced the 4 amp with a 3 amp as thats all the autoshop had. would this make any difference, should I change all the globes again, they look ok when you pull them out. No fuses on the cluster itself I need to look at is there? Any feedback appreciated as I had it all working perfectly. 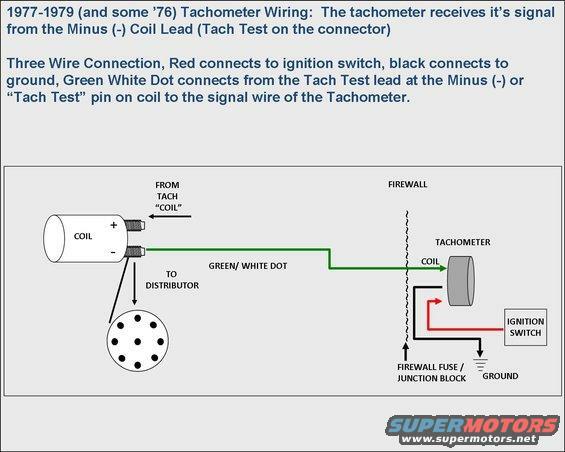 Anyone know how to check and set the tachometer calibration? 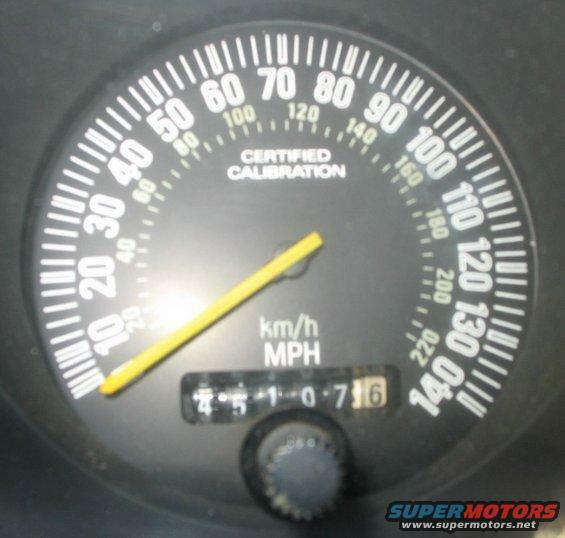 My tach, when sitting in a normal position removed from car, reads about 500rpm for zero. When I set the tach flat on a table on its back the needle reads 0. I want to make sure this is calibrated before I put the dash back together with the restored gauges. I have a problem with my dash lights and gauge lights, completely dead. They used to work until I had the headliner replaced. The installer shorted something out and blew out 2-3 fuses. I have since replaced fuses and replaced the headlight switch, thinking that the rherostat might have been blown. 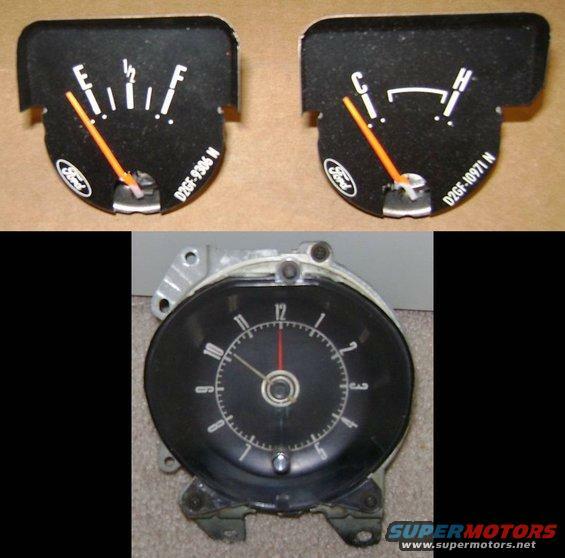 Gauges work but the Instrument lights and the lights that shine over the knobs do not come on. Yup...brake lights, blinkers...etc everything else working. Gear shift and interior floor and headliner lights work. Just the dash lights. No voltage to the dash bulbs. 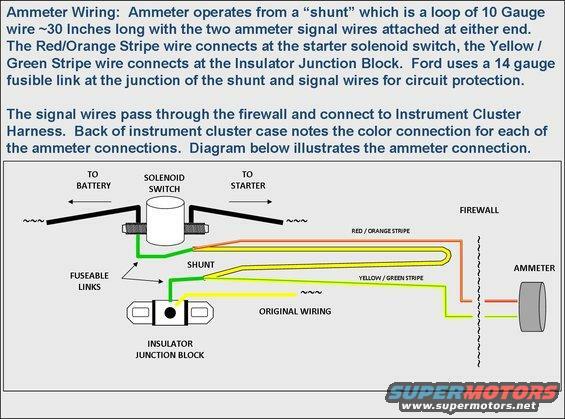 I'm wiring a 74 GT cluster into a 73 Sports roof car and need to know which wires need to be connected to each other for it to all work correctly. That's what this INFO thread is for. You are better off getting a '74 cluster. Worse case, Everything is there that you need to wire it from scratch if necessary. I had the same issue this weekend, I forgot to change the fuse. Anyone do anything besides putting in LEDs to brighten the cluster lighting? Washing the interior of the cluster case helped a little. I wonder if you spray the inside with chrome paint if it would help. I restored the cluster except for having any silkscreen work done. Careful cleaning with damp clothes, very low pressure on the air hose, and careful use of a swiffer duster. I used Plastic headlamp polish on the gauge lens. Carefully repainted the gauge needles with the correct fluorescent orange paint. the only problem I had is the trip meter numbers blew off while blowing out the dust. My car is from the desert and it is hell on interiors. I just finished my interior. Looks almost new now. I'll post some pics on my car link soon. Oh BTW I replaced all the bulbs in the dash and interior with LED bulbs. Looks great. Stock colors so it all looks original. The best thing I like about the LED bulbs is the reduction of the heat and the fact that if I leave a dome light on it doesn't drain the battery, leaving me with a dead battery.